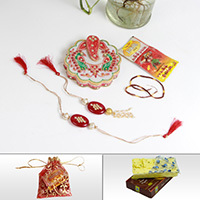 The very design elements of the Elegant Bhaiya Bhabhi Rudraksh Rakhi make it fit for adding piety to as auspicious an occasion as Raksha Bandhan. 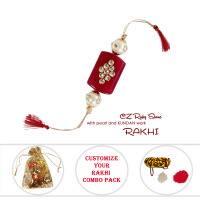 Read More..The Rakhi pair for brothers and sisters-in-law incorporates the holy Rudraksh into their design feature in a seamless manner, retaining elegance with piety. 500 gm of Doda Barfi is the perfect addition to the package for letting the brothers feel loved and wanted while relishing over this sweet delicacy. 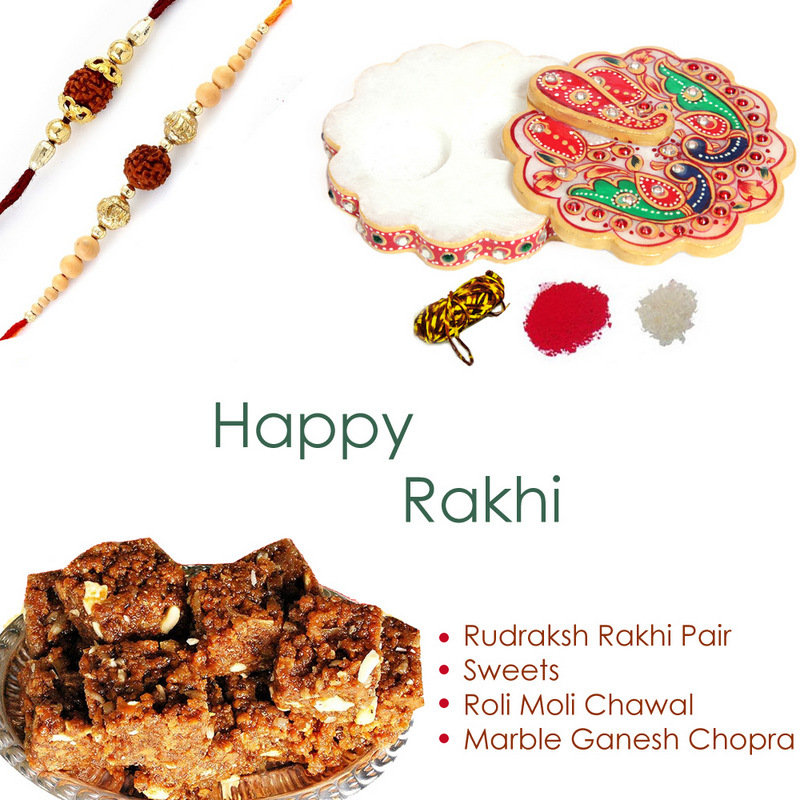 In addition to this combo of Elegant Bhaiya Bhabhi Rudraksh Rakhi, the inclusion of the flower shaped Ganesh Chopra, as well as, Roli Moli and Chawal goes well with the traditional values of associated with this occasion. Show Less..
Inclusive of ganesh marble chopra, 500 gms. 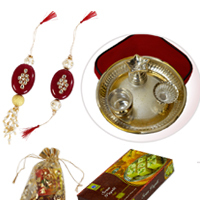 premium Sohan papdi, designer rakhi for bhai bhabhi & roli moli chawal.